Roop Verma (Sitar). with Naren Budhakar (Tabla), Arjun Verma (Sitar), and Tracy Verma (Tamboura). Roop Verma is an internationally known sitarist, composer and accomplished teacher of Indian Classical music. He trained under two of the greatest masters of Indian Classical music of our time: Ravi Shankar and Ali Akbar Khan. For over 40 years, he has performed in concert halls of Europe, North and South America. 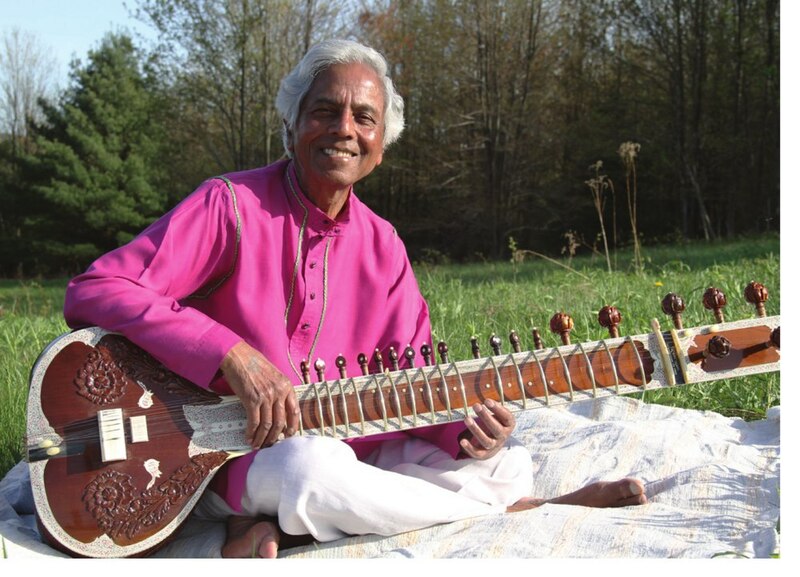 He will be joined by his son, Arjun, a brilliant upcoming sitarist who combines innovative techniques drawn from his study with Ali Akbar Khan and his apprenticeship with his father, and by internationally renowned tabla player Naren Budhakar, with Tracy Verma on tamboura. Join us to experience their magic, sublime, and exhilarating music.